Leasing Vs. Buying a Car: Which Option Is Better? There is nothing like the feeling you get when sitting behind the wheel of a brand new car. There is also the unique smell of a vehicle sitting in the showroom. However, driving off the lot can be a lot of hard work. It is no secret that the price of a reliable automobile has increased in the past ten years. As a result, it poses a major challenge to prospective buyers who are looking for the best deal on a great car. It all begins with a simple question: Is it better to lease or buy? Either one has definite advantages as well as drawbacks. Both require you to jump through a variety of hoops with credit qualifications. Paying cash in full up front is probably not a viable option for most people looking to purchase a new car. The answer really depends upon you. It relies on your particular needs when it comes owning, or essentially renting, a car for a specific period of time. To purchase the vehicle, you probably need to take out a car loan. You can apply for a loan through the dealership. You can also go directly to your bank or other preferred lending institution. Leasing has become a popular choice. This is because it allows the consumer to get behind the wheel of a car that they only wish to drive for a predetermined length of time. Typically, it is a vehicle that is normally out of their price range. That is because leasing does not require you to pay the purchase price of the vehicle, but instead its depreciation. Furthermore, other consumers prefer buying the vehicle because they retain some amount of equity in it after they have finished paying off the financing. 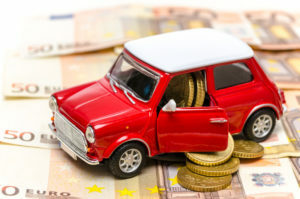 In order to purchase the vehicle, you will likely need to take out a car loan. You can apply for it through the dealership, or go directly to your bank or other preferred lending institution. Leasing has become a popular choice because it allows for the consumer to get behind the wheel of a car that they may only wish to drive for a predetermined length of time. It can typically be a vehicle that would normally be out of their price range. Leasing does not require you to pay the purchase price of the vehicle, but the depreciation instead. Yet, other consumers prefer to buy the vehicle because they retain some amount of equity after they have finished paying off the loan. Both methods have their benefits and their drawbacks. Therefore, let us take a comprehensive look at each option. The intention is to help you make the right decision when the time comes to put a new car in your garage. Owning: You own the vehicle outright. It is yours once you close the deal. Money Down Requirements: You can pay the full cost at one time or provide a down payment along with all applicable taxes, registration fees, and drive-off fees. Mileage Issues: You own the vehicle, so the number of miles you put on it is up to you. However, doing so can reduce the resale value. Loan vs. Lease Term: Once your loan is paid in full, you have no more payments to make. The vehicle is yours and you own the equity in it. Vehicle Value: The vehicle will continue to depreciate as normal, but you can use the remaining value as you wish. Continue using it or sell the car. Wear and Tear: It will reduce the resale value to some extent, particularly if it is highly excessive. 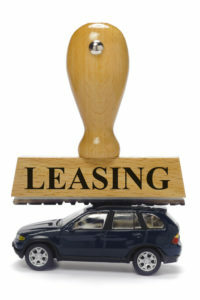 Leasing: You drive the vehicle for the duration of the terms of your lease agreement. Ownership does not apply. Money Down Requirements: First-month payment, down payment, security deposit (refundable), and the same taxes and fees apply. Monthly Payment Structure: Your lease payments are going toward depreciation of the vehicle over the course of the term of your lease. This also includes interest, and other fees and applicable taxes. Mileage Issues: A lease agreement will usually limit the number of miles allowed on the car annually. It can run from 10,000 to 15,000 depending on the agreement. There are penalties for going over that limit each year, which is charged per mile. Loan vs. Lease Term: Once your lease is up, you have the option of buying the vehicle or turning it in. Vehicle Value: Any future value in the vehicle does not apply unless you elect to buy the car at the end of the lease term. Should you choose to turn it in that is the end of it. Wear and Tear: Any excessive wear and tear costs will be covered from your security deposit. Consumers who go with a lease are doing so with the knowledge that they are not paying the purchase price. They will likely be returning the vehicle to the dealership once the term of the lease expires. In most cases, that term can vary from twenty-four months on the short-end to an average of thirty-six to forty-eight months. Some dealerships will offer a sixty-month lease agreement. These are not as common because the money that you are paying each month is going toward the finance of the depreciation on the vehicle, and not the purchase price. The payment also includes other costs such as interest and fees. 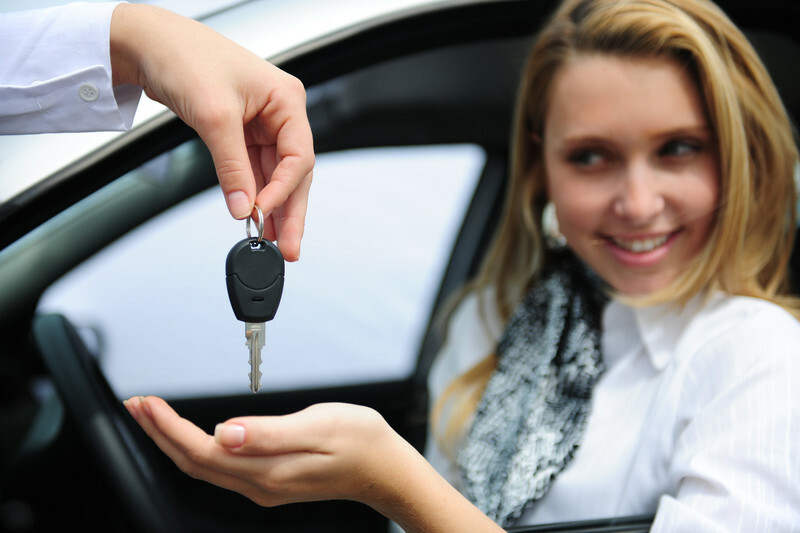 Once the lease is up, you are typically expected to return the vehicle to the dealer. You have the option to buy the car for the remaining value that exists but this is not always financially savvy since that money could be better used towards getting a different brand new vehicle. In contrast to a purchase arrangement, leasing does not require a large sum of money to be put up at the start. Also, the value on a trade-in is usually lower. You would still be left paying less per month for a lease payment than you would if you decided to finance the vehicle through a loan, as part of a purchase arrangement. A lease only requires you to put your monthly payments toward the difference between the sticker price of the car and its residual value. That amount is estimated once you return the car, after the lease has expired. For example, if you are interested in a vehicle with a $20,000 price tag. You put down ten percent towards it without a trade-in. You are left with $18,000. When you are considering a lease, any agreement is going to include the residual value which is typically estimated ahead of time. The car you want has a predetermined residual value of fifty percent or $10,000. Therefore, you will be making payments on $10,000 worth of use in the vehicle. You are basically making payments on half of the price of the vehicle, in addition to any other applicable fees and costs. Leasing is also a smart choice in case you don’t have a lot of money to put toward a down payment. Depending on your credit you may put down nothing, or next to nothing, and still enjoy a low monthly lease payment. Should your credit not be as great, you could put down a few thousand bucks in order to keep your payments on the lower end. Typically, the more you put down up front, the less you will be required to pay each month after. Another good reason for leasing is that you can always have a car with the latest technology and safety devices installed. Most people who lease do so because they want to get a new car on a regular basis. Since most leases only run about three to four years, it is a great way to ensure they are always driving the newest car on the market. There is no commitment with a lease. Once it is up, you just return the car, and then get a new lease on another new car. Leasing is also an ideal way to keep your vehicle ownership costs down. The typical lease agreement runs about the same duration as the bumper-to-bumper warranty on any new vehicle. So if something should break down, the warranty will cover the cost. This does not extend to standard maintenance, you are still responsible for keeping the car in top working order. Many car companies now offer free oil changes and other services that come with a lease. That can also reduce your out of pocket expenses. Since you do not own the vehicle, as you would with an outright purchase, a lease comes with rules and regulations. These need to be complied with or you could be on the hook for additional charges beyond your monthly payment. Every lease agreement dictates how many miles you may put on the car over one year period. That limit can run from as little as 9,000 to as much as 15,000 per year, though 12,000 is usually what you can get on most contracts. The number of miles on your agreement can also have an effect on your monthly payment. Should you go over the agreed upon mileage limit you could face substantial penalties in the form of a fee per mile. This will be charged to you at the end of the lease. So if your limit is 12,000 per year over a forty-eight-month lease, the car may not have more than 48,000 miles on it. Do not worry, if you put 13,000 on it one year and 11,000 on it the next. There is only an assessed a penalty for every mile beyond the 48,000, permitted once you turn the car back in. If you bring it back with 48,500 miles, those extra five hundred miles will be charged to you at fees as low as ten cents to as high as twenty-five cents per mile. In that example, you are looking at an additional charge of $50 to $125. Now imagine if you go 2,000 or 5,000 miles over the limit. That will get very costly, very quickly. A lease may prove challenging if you drive your car a lot, and you know you will go right past any sort of mileage restrictions that come with a lease. Similar fees also apply to excessive wear and tear on the vehicle. If you are a consumer who really likes to get the most use of your vehicle, anything that would make the dealership decide it was not in original condition becomes your responsibility. This includes exterior cosmetic damage, a ding here or there is acceptable, but if you sideswipe a pole and do not get that damage fixed, you will be charged to do so. The same goes for any custom alterations or installations made inside or outside of the vehicle. If these things are not expensive or time-consuming to reverse then you will be okay. However, if not, that will cost you in labor alone, not to mention any parts that need replacement. Although most leases have this language contained within, the various expectations and allowances may vary. Be sure you have read the lease terms in full before you sign on the dotted line. It is not just the restrictions that might make leasing a car the wrong choice in your situation. Your credit could be another problem. You may not qualify for a lease if your credit score is too low or history insufficient. If this sounds like something that you would face, you may want to wait to lease a vehicle until you can get your score back up. Additionally, you might consider looking for a less expensive or even a pre-owned car. You might also have the opportunity to take over someone else’s existing lease if they do not want to continue with it any longer. In this scenario, you are simply making the payments for that individual. However, there are many more hoops to jump through in order to be approved. Many consumers also opt not to lease a car because they are paying a good chunk of money merely to rent the car for a period of time. When the lease is up, they cannot claim any equity on that money like they could if they opted to purchase the vehicle through a loan or other financing. You can’t use the car toward a trade-in or sell it to raise money for a down payment on another car. Once the lease is done, you are walking away from the car with nothing more than memories of your time driving it. Additionally, you may owe more on it if you went over your mileage limit or caused any damage. If this is a car that you really love and plan to maintain and keep for a long period of time, or maybe you just hate car shopping as much as the rest of us, and do not want to deal with it again until you are forced. In these cases, buying the car may be the right choice for you. That probably means you are looking at having to take out a loan or finance the purchase price through the dealership’s financing company. Either way, unless you’re independently wealthy, you will look at the same amount of paperwork and approval processes as you would with a lease. But in the end, you are the owner of the car, and will continue to own it and the value within, once you have paid off the loan in full. During the time you are making those payments, you “own” the vehicle, as long as you continue making loan payments on time. Should you default or pay them routinely late, your lender might elect to call in the loan, which would likely result in the repossession of the car. In reality, the title belongs to the bank, even if you happen to have it in your possession. The payments being made on the vehicle should last long enough in order for you to still maintain enough depreciation time on the car. There is nothing worse than owning a car that you are making payments on every month, and it is barely running once you have paid back the full value of the loan. Then, you are out the money you paid on the loan, and you have very little equity left in your beat-up jalopy. So it is up to you to maintain the vehicle and keep it operating at peak performance at all times. Your warranty will cover most things up to a point but once that expires, repair costs are up to you. Buying the car also negates any mileage or wear and tear restrictions, once you own it you can run up as many miles as you wish and customize it in any fashion. It’s all yours. We discussed a little about getting upside down on your vehicle and it is also one of the main dangers of buying over leasing. Your value in the vehicle is what makes it attractive for a resale or trade-in and while it is not impossible to predict the future market value for your particular vehicle, there are a variety of factors that can come into play, and ultimately affect your car’s worth. This is not as much of an issue with a lease. This is because the future value is estimated at the start of the lease and should the car not be worth what you expect when the contract is up. That is not a concern to anyone other than the dealership. In turn, if you are still paying off your loan and the car is worth less than what you still owe, then you will have very little luck trying to sell it for much if anything, other than parts and scrap. Of course this only applies to a scenario in which you seek to sell the vehicle. You may not intend to do so, and be the only owner on it until the car simply will not run anymore. The 250,000 miles on that odometer are all from your exclusive years of use. Buying also requires you to put down a larger down payment than you might have to with a lease, on approved credit. You may need to come up with anywhere from ten percent to twenty percent of the price tag which is $2,000-$4,000 on our $20,000 car referenced above. Not a lot of folks can readily scrape up that much to put down on a car when they are applying for a loan. However, if your credit is exceptional, this might not be an issue as you would likely be afforded the luxury of skipping the large down payment and financing the full purchase price of the car. Keep in mind that the larger your down payment, the lower your monthly payments would end up costing you. Another way that lenders like to get those payments down is through extended loans of six, seven, eight years in length. Sounds affordable at first, but if you think about it, the interest you are paying on that longer term is going to compound. The interest rate will likely be higher since you are extending the reimbursement of the principle over more years. That means you could be paying a lot more for that car than if you had paid the full price up front in one lump sum. If you could not afford to do that , you will pay through the nose with additional interest just to get a lower monthly payment. Getting into that type of situation is increasing your risk if ending up underwater on the car where its future value is concerned. There is no easy answer to leasing vs. buying your car until you sit down and analyze your own financial situation, as well as the future outlook for your vehicle. If you want something to drive around sporadically for a few years and then walk away from, leasing might be the way to go. Conversely, if this is the car you want to keep in the family and pass down to the kids when they are old enough to drive, then buying could be the best choice. This guide will help you define what your unique parameters are for getting a new vehicle, and how to get the best deal for your money in the here and now, as well as the future.